In observance of the 1 year anniversary of Jeff’s passing, we will be closing the store to the public on April 4, 2019. We miss you Jeff! UPDATE: We are not closing! We recently lost the beloved owner of Tom’s (Tom’s son Jeff) in April of 2018. Jeff’s wife has taken over and is keeping Tom’s Uniforms family run and alive! It isn’t easy to fill Jeff’s shoes, so please bear with us as we learn the ropes and make Tom’s great again! We have created a facebook fanpage where we will try to post updates. Please help us by becoming a fan, sharing the page and spreading the word! Tom’s Uniforms has been providing uniforms and equipment to our customers throughout the Los Angeles area for over 55 years. 6/20/2018 We just got a huge shipment of scrubs! Come on in and check out our selection! 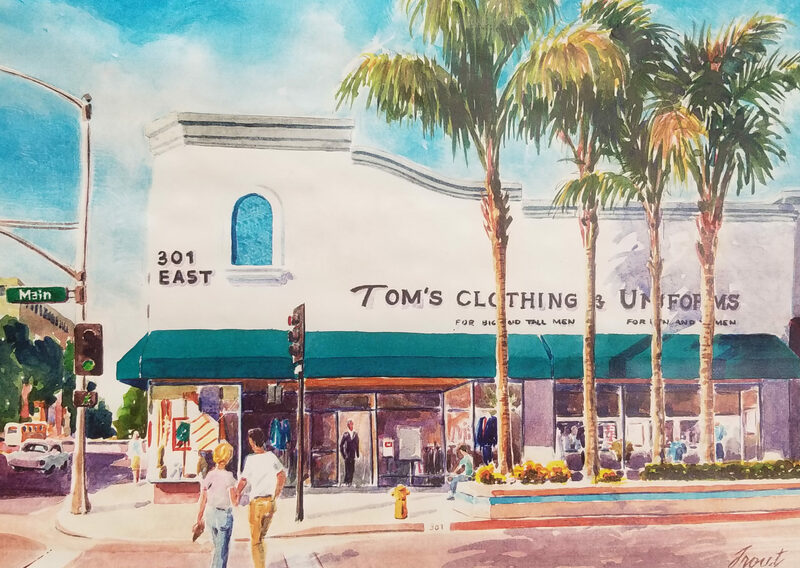 Located in Alhambra, Tom’s Uniforms is one of the largest uniform stores in the San Gabriel Valley. We are a complete uniform store with a large inventory of postal, police, fire, industrial, medical and restaurant uniforms. We also carry police, fire and medical shoes, boots and accessories. Expert tailoring is provided.